The route to sexual pleasure and intimacy is like the route to any other of life’s mysteries. It means exploring new emotional landscapes. It means opening your wild, precious, vulnerable self to nature, divine presence, and the profound wisdom of your body. It means daring to know what you want. During this workshop for women of all ages and sexual and spiritual orientations, we create a safe, confidential environment where you can learn innovative ways to create heart-to-heart communication, expand your capacity for love, creativity, and compassion, transcend guilt, shame, and “good-girls-don’t” messages, and heal the wounds of violence, abuse, and compulsivity. 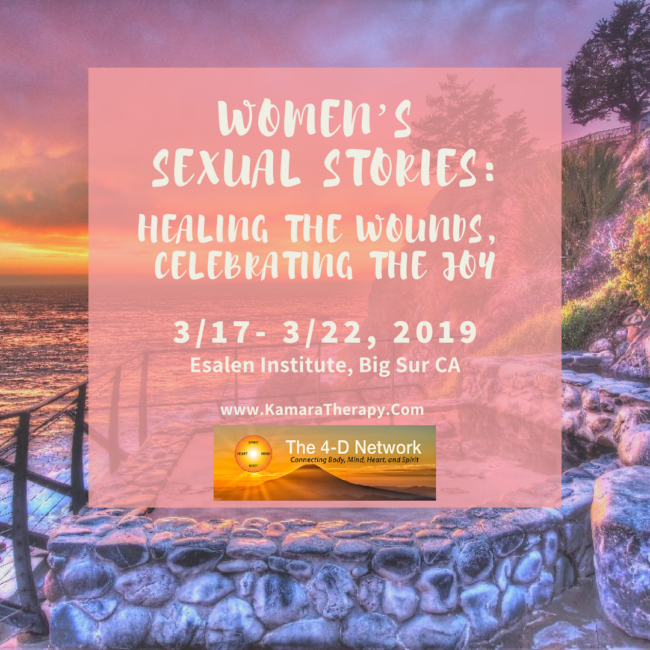 We merge the latest research with women’s stories, shamanic journeying, and sacred ceremony in the Esalen hot springs.